Sarah Wigley is a Clinical Assistant Professor of Voice for the Lyric Theatre department at the University of Illinois at Champaign-Urbana, where she instructs Lyric Theatre Studio, Musical Theatre Repertoire, and Singing in Musical Theatre while maintaining a private voice studio and frequently stage directing both opera and musical theatre. Wigley holds an MM in Voice Performance from Colorado State University and a BM in Voice from the University of Minnesota. While residing in Minneapolis, Wigley performed professionally with regional companies such as the Guthrie Theatre, the Skylark Opera, the Mystery Cafe, the Minnesota Centennial Showboat, and the Minnesota Opera. Ms. Wigley’s Denver credits include roles such as Aldonza in Man of LaMancha, Emma in Jekyll and Hyde, Dolores in The Wild Party, and Miss Scarlett in Clue-The Musical. Sarah Wigley has served as faculty for the Musical Theatre department at the University of Northern Colorado as well as Parlando School for the Arts in Boulder, Colorado, and has had several students appear on Broadway and in national tours and regional theaters across the nation. 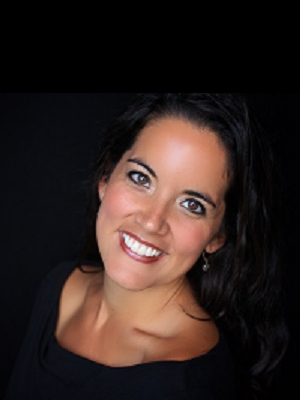 As a contemporary voice specialist, Ms. Wigley frequently presents workshops concerning flexible voice technique and crossover training for both studio voice teachers and choral educators. Sessions ranging from “Crossing Over: Contemporary Voice Technique for Solo and Ensemble Singing” to “Crossing Genres: A Classical Singer’s Guide to Jazz” have energized the International Congress of Voice Teachers in Stockholm, Sweden, the National Association for Teachers of Singing, Illinois Music Education Association, Iowa Choral Directors Association, and Minnesota Music Education Association. Professor Wigley’s students are frequently awarded as finalists in musical theatre competitions for the National Association for Arts and Letters and the National Association for Teachers of Singing, and she currently sits on the board of the Chicago chapter of the National Association for Teachers of Singing.